For some time now we have known that website speed affects the conversion of the site, but what about speed across the whole business. How do businesses accommodate modern shoppers and their need for speed? In 2009 Google revealed research to show that just a 0.5s delay in the page load speed of a website can reduce traffic by a whopping 20% – but we all know this already, right? Since this research all the way back in 2009, consumer technology has evolved in leaps and bounds to give us the seamless, highly-responsive and highly-available user experience that we all now expect. Having instant access to everything at the touch of a button, everywhere in the world has increased customer expectations – how do firms meet these? Speed is now expected across the business as a whole, from picking up the phone to delivering the end product. One of the key influencers of this ‘need for speed’ is the skyrocketing uptake of social media. Social networks give consumers and potential buyers 24/7 access to companies, and firms need to wake up and realise that there are no 9-5 hours when it comes to Twitter, Facebook and the gang. Research from social company Convince and Convert recently revealed the high expectations of tweeters – especially those who are complaining. The report showed a huge 32% of social complainers expected a response within 30 minutes of sending a tweet and 42% expected a response within an hour at most. But that doesn’t apply to evenings and weekends though? Unfortunately it does. The same research found that more than half (57%) expect the same response time late at night or at weekends as within business hours. Can your social media presence meet these requirements? It’s also worth bearing in mind that any complaints that you have unresolved on Twitter are visible to anyone who searches for your company name/Twitter handle. A speedily-resolved query can quickly turn a negative PR situation into a positive by showing how responsive and switched-on your firm is. It’s not just social where superfast is super-important. Customers are becoming ever-more impatient. Can you manage client expectations for delivery? US supermarket giant Wal-Mart has introduced its same-day delivery “To Go” service which enables shoppers to pay online and select a delivery date for $10, regardless of the size of the order. Online retail giant Amazon also has a same-day service on some items, as does eBay, although it is somewhat limited. Here at UKFast we’ve noticed this need for immediacy, and it was a catalyst in the development of our revolutionary soon-to-launch cloud service eCloud. eCloud will be able to spin up VMs in a matter of minutes and build complex virtual environments in hours rather than weeks. 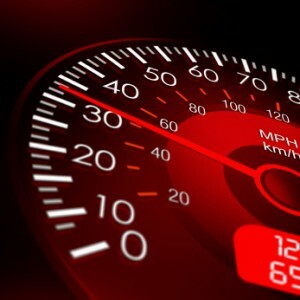 With so many ‘tech trends for 2013’ flying around, it’s clear that the predominant theme throughout them all is speed. What could you do to speed up your service?